One of the greatest challenges facing hospitals and field healthcare centres in the developing world is keeping their basic equipment running. Access to electricity or replacement parts for key machinery cannot always be relied upon. The Knowledge discusses one solution of designing incubators out of motorcycle spare parts, as these are often far easier to get hold of around the world than dedicated medical components. Now Manu Prakash at the Stanford University has designed another ingenious solution. Centrifuges are machines that spin at very high speed to help separate samples, and are vital for a huge range of hospital tests. But they need electricity to run, and key components can be difficult to replace. Prakash has taken inspiration from an ancient toy, known as the whirligig, and produced a functional centrifuge out of incredibly simple materials – it needs only disks of paper, string, and wooden handles. His ‘paperfuge’ is ultra-low-cost, and can easily be made by readily-available materials anywhere in the world. Despite this simplicity, the paperfuge can achieve spin rates of up to 12,500 rpm – just as good as a hospital lab machine – and so separate blood plasma from red cells and help detect diseases such as malaria, African sleeping sickness, HIV and tuberculosis. You can read more about this brilliant, low-tech invention in their academic publication Hand-powered ultralow-cost paper centrifuge (Nature Biomedical Engineering), or in an article in The Atlantic. A novel concept farm in the desert of South Australia is now producing 15,000 tonnes of tomatoes a year. And best of all, it does all of this with only sunlight and seawater. Writing in New Scientist, Alice Klein explains how the futuristic greenhouses need no pesticides, fossil fuels, soil, or groundwater, and are entirely self-sufficient. Seawater is desalinated using solar power for watering the plants, and inside the greenhouses seawater-soaked cardboard lining keeps the environment nice and cool. 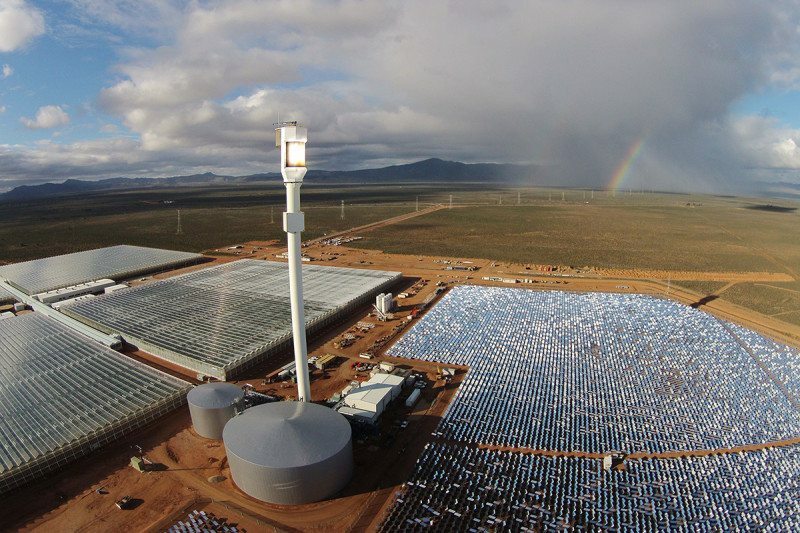 During winter, solar power warms the greenhouses. With a burgeoning human population, shifts in rainfall driven by climate change, and increasing demands on freshwater, this is exactly the sort of novel technology that could support future farming. Read the full report in New Scientist. The TED talk that I delivered last year on the main stage in Vancouver has now been released. Over 18 minutes I explain the principals of how you could go about rebooting civilisation after an apocalypse. This thought experiment was a way of holding up a mirror to our world, to explore all the behind-the-scenes fundamentals of how modern civilisation works; the stuff we just take for granted in our everyday lives. What enabled society to progress through the centuries and millennia of history? 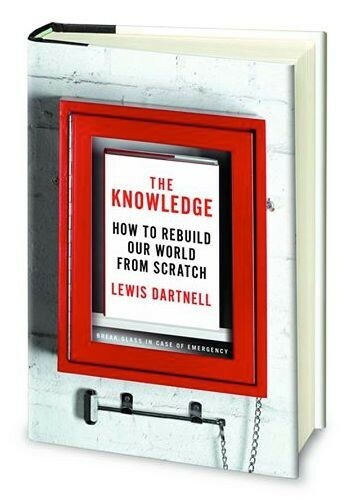 In this talk I focus on three areas of capability: Food, Fire, and Knowledge. You can also see stills from this event, and a live-scribed Infographic of the talk. The excellent people at 10:10 have just launched a really nifty new smartphone app. Look Up! turns anyone into a solar treasure hunter. With just a few clicks you can help find roofs that could be turned into solar power stations, and then add them to the solar panel treasure map. The app is a bit like Pokémon GO for clean energy and so is great fun to play. And there are even prizes for the people who log the most solar potential before the end of British Summer Time on the 30th October. So there’s no excuse not to get involved, and make sure you Look Up! 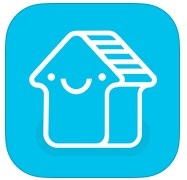 More details on their website http://lookup.solar/ , and download the app from iTunes. The Conversation website also runs a regular podcast, and this week I interviewed with them on the subject of Rebooting. For the sake of a thought experiment, what could you do if the world as we know it came to an end? 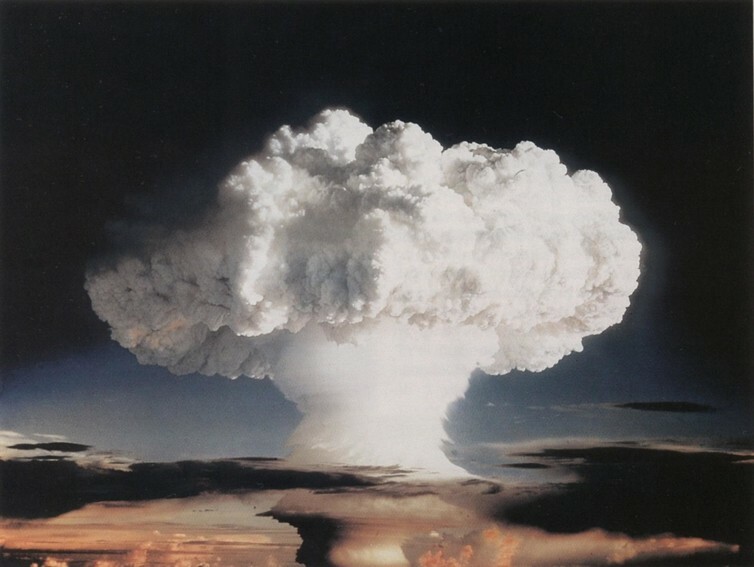 It could be a nuclear apocalypse, a superbug that wipes out most of humanity, or even a catastrophic asteroid. What sort of guide book would you need to survive these doomsday scenarios? Listen to find out how long you can last off the food that will be left lying around and the crucial knowledge you need to rebuild civilisation. And looking to an even more extreme scenario, what would happen to the Earth if humanity itself was driven to extinction. Matthew Wills, an expert in evolutionary processes, discusses what sort of life might develop in our place. The clues, it turns out, are in the last big wipeout – the asteroid that did for the dinosaurs. 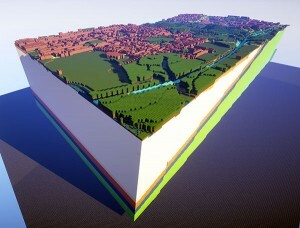 The British Geological Survey has recreated several of their geological maps as 3D landscapes within the MineCraft game. Now you can explore the British Isles both above and below the ground! These models not only show the rolling land surface, but also how the underlying rock strata rise and fall, and overlap and fold, at different depths. All of the three-dimensional geology, elevation and topography are drawn from BGS and Ordinance Survey data. 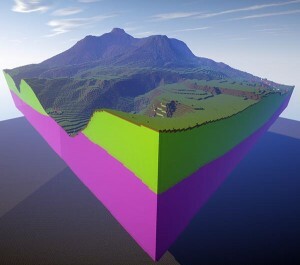 Now for the first time you can tunnel underground in MineCraft through real geological layers. See the BGS website for more details on how these were made, and to download the MineCraft models. Thought the history of civilisation, humanity has exploited an ever increasing repertoire of metals in our tools and technology. Copper and bronze, iron and steel, gold, silver, aluminium, tungsten, and so on. Nowadays, we carry around in our pocket a huge range of metals — not just coins, but your smart phone in fact encapsulates an incredible selection of different metals, some pretty rare in Earth’s crust. 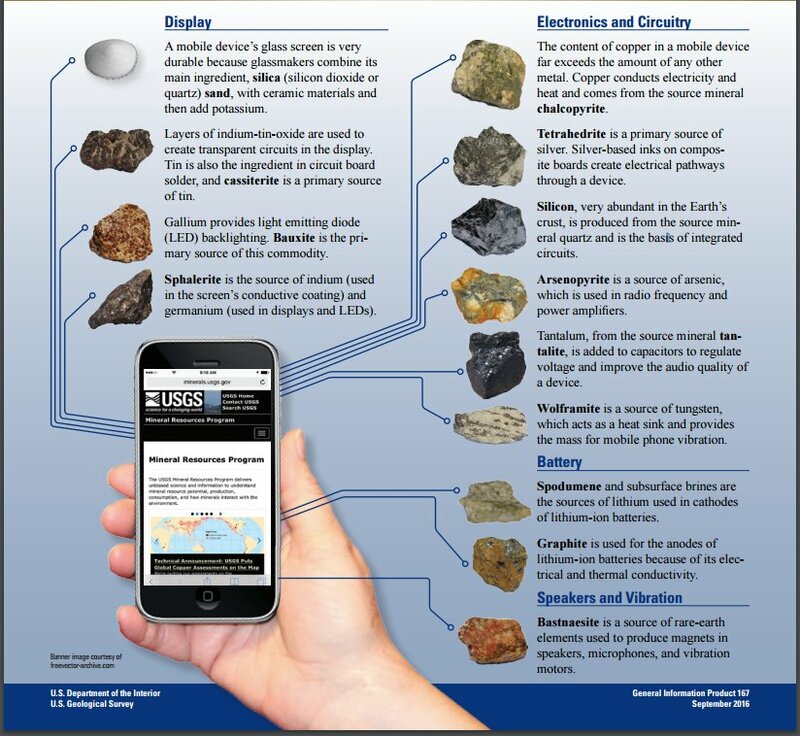 The US Geological Survey has produced this amazing infographic of all the minerals and metals contained within the advanced electronics in your phone and other devices. Each material is selected for its particular combination of properties needed for the different functions within electronics. And these are sourced from mines all over the planet. Who’d have thought that we use such a range of materials everyday of our lives without even realising! Chapter 10 of The Knowledge talks about ways to make inks for art and writing. 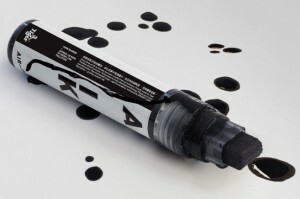 Both the ancient Egyptians and Chinese developed a black ink based on soot, about 4,500 years ago. The tiny particles of carbon in the soot serve as a wonderfully dark pigment, which when mixed with water and a thickening agent like tree gum or gelatine (animal glue) gives you a great, black ink. Still very popular with artists today, ‘India Ink’ is therefore a misnomer as it was actually developed in China, and only traded with India. A suspension of carbon-black particles is also the basis of modern photocopier and laser-printer toner. Historically, these incredibly fine carbon particles were collected above the sooty flame from an oil lamp, or by charring organic materials like wood or bone. Now, Gravity Labs, a spin-off from MIT, have developed a thoroughly modern, and eco-friendly, method for capturing carbon black. Graviky Labs founder Anirudh Sharma and his team worked with Tiger beer in Thailand to create an air filter that can be attached to the exhaust pipe of cars, trucks, or boat engines. 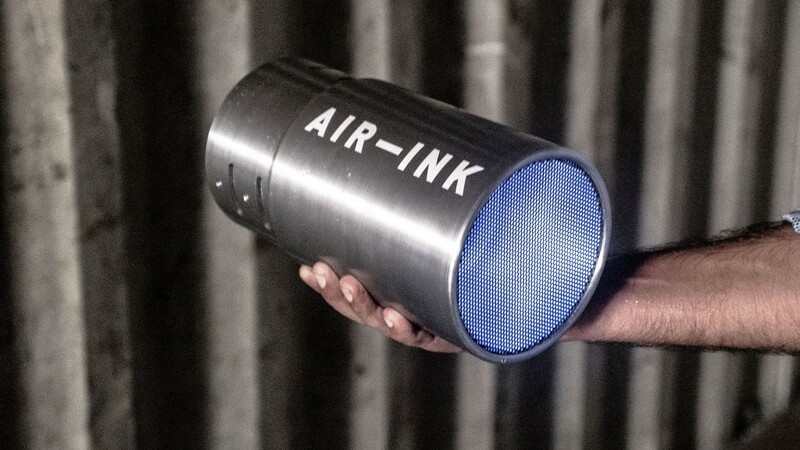 The device captures the emitted soot particles from the diesel engine, which are then used for making paints and inks for local artists — Air Ink. This is such an innovative idea for converting pollution into art!